Jazz Education has become a very meaningful part of my life. I enjoy guiding and encouraging musicians of all ages as they develop their individual and ensemble skills…sharing my experiences, and passing along the insights and jazz wisdom that have been so generously given to me during my musical career. My goal is to inspire and motivate my students to become the best musicians and people they can be. 2015-present: Adjunct Faculty at Bard College, Annandale-on-Hudson, NY: Jazz Piano lessons. New position Fall 2016: Adjunct Faculty at SUNY New Paltz, New Paltz, NY: Individual Jazz Piano lessons and Class Piano-Jazz and Improvisation. 2010-present: Adjunct Faculty at Dutchess Community College in Poughkeepsie, NY: Jazz Piano lessons, Jazz Improvisation-a lecture/lab course, Jazz History, and Music Appreciation-a survey course for non-majors. 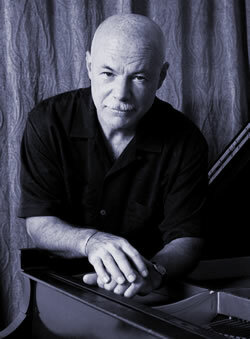 30 years experience as a full-time professional jazz musician based in New York City, performing, touring, and recording. Appearances at colleges and universities across the USA as a guest artist, and for masterclasses and performances. MA in Jazz Performance from the Aaron Copland School of Music at Queens College in NYC. BS in Musical Studies from the Crane School of Music at SUNY Potsdam, in Potsdam, NY. Clinics and workshops at colleges and high schools. Performance as a guest artist with college and high school jazz ensembles. Online teaching via Skype for private lessons in jazz piano, and for lessons in improvisation for all instruments. Please contact me for scheduling.